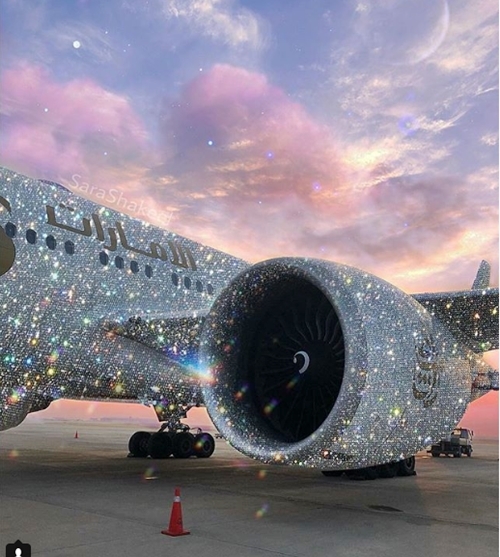 Some viral photos of a 'diamond encrusted airplane' which emerged online, has turned into an internet sensation, as many wonder how Emirate airline will make a whole plane filled with diamonds. When Emirates posted an incredible image online appearing to show a diamond-encrusted aircraft, it unsurprisingly sent the internet into meltdown. 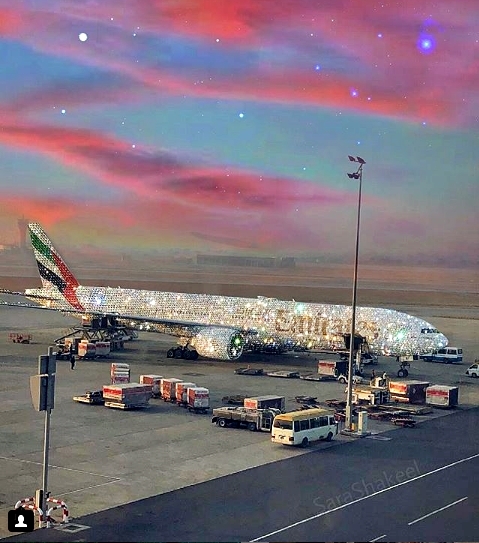 The stunning picture showed one of the Dubai-based carrier's Boeing 777s with what appeared to be a bling-y festive makeover. But it turned out that all was not as it seemed - the image was actually the result of some very clever Photoshop work. It was the handiwork of Sara Shakeel, who came up with the idea for the image after capturing a photo of an Emirates aircraft before flying to the Italian city of Milan. The former dentist often posts pictures to her Instagram account that she edits to give them a bejewelled makeover. But others, rightly, questioned how the plane would be able to fly with the added weight of the diamonds. In a bid to clarify the viral news, she shared another photo and wrote: "So My plane has been on the news lately, confirming whether it’s real or not, so before I took off I took another picture just to let you guys know it’s real. P.s thank you guys ! I truly and honestly made the diamond plane for the love of the trip and the excitement! Never in a million years did I know it’ll end up on news / tv / trending on #twitter all over the place ! So thank you a million times! "